HTC has announced that the Vive Pro, its new upgraded, “professional” version of the Vive virtual reality headset, is now available for pre-order for $999 CAD. The Vive Pro features an increased display resolution, a second external camera (possibly for AR) and built-in headphones. The Vive Pro is also compatible with HTC’s new wireless tracking stations that allow up to four sensors to be connected in virtual reality, resulting in an up to 10 by 10 meter play space. HTC is positioning its new headset as an upgraded version of its standard headset. 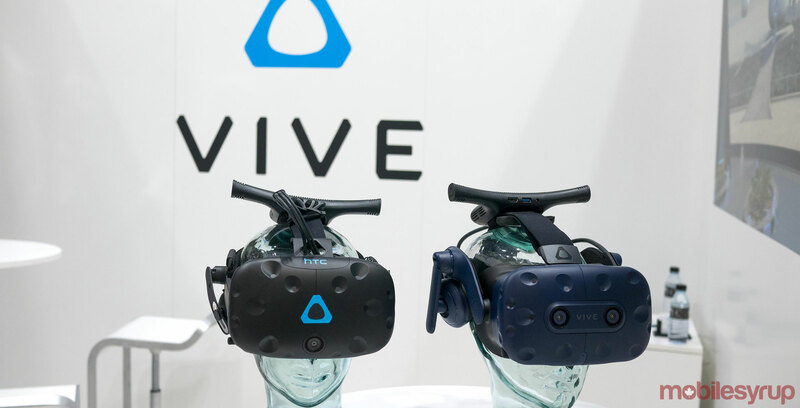 When I went hands-on with the Vive Pro at Mobile World Congress in Barcelona, Spain, I found that the headset was significantly more comfortable to wear for extended periods of time. The increased resolution, which has been pushed up from 1080 x 1220 pixels per eye, to 2880 x 1600 pixels and 615 dpi per eye, also reduces the ‘screen-door’ effect many high-end VR headsets suffer from. This amounts to a 78 percent increase over the current Vive’s display in terms of resolution. Along with launching Vive Pro pre-orders, HTC has also reduced the price of its first-generation Vive headset to $699 CAD ($499 USD) from $783 CAD ($599 USD). When the Vive first launched back in 2015, it was priced at $1,045 ($799 USD) — roughly the same price as the Vive Pro headset on its own. That said, the Vive Pro doesn’t include Base Stations or controllers, like the regular Vive. On their own, Vive controllers are priced at $179 each, with the base stations coming in at $184 per tracker.